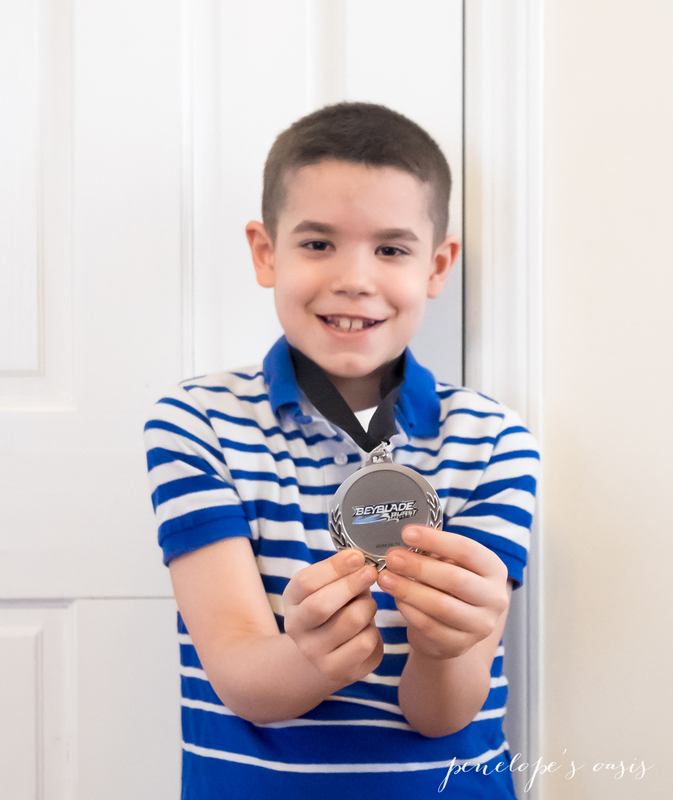 As boys get older, they find themselves drawn to challenges where they can be smarter, quicker, or more skilled than their peers in a hobby or sport they enjoy. 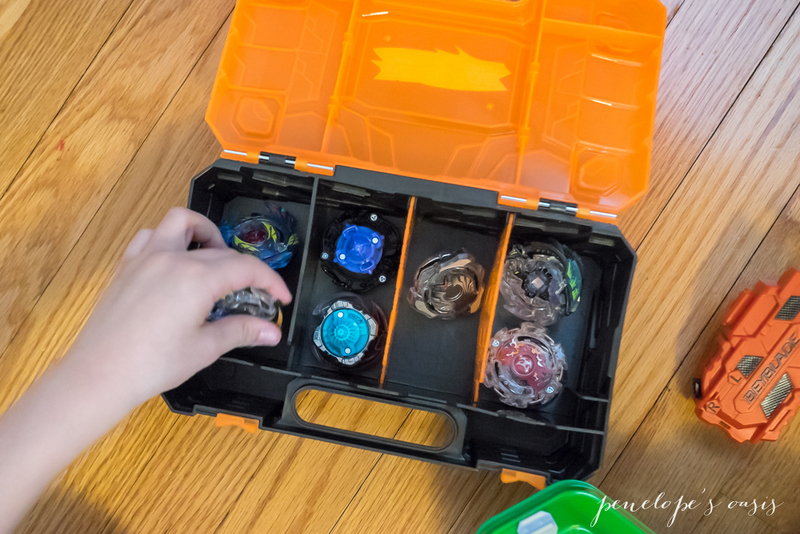 BEYBLADE has been popular for a long time, but I only recently learned that children who especially love it and who have become masters can display their talent to the world in the BEYBLADE BURST World Championship. 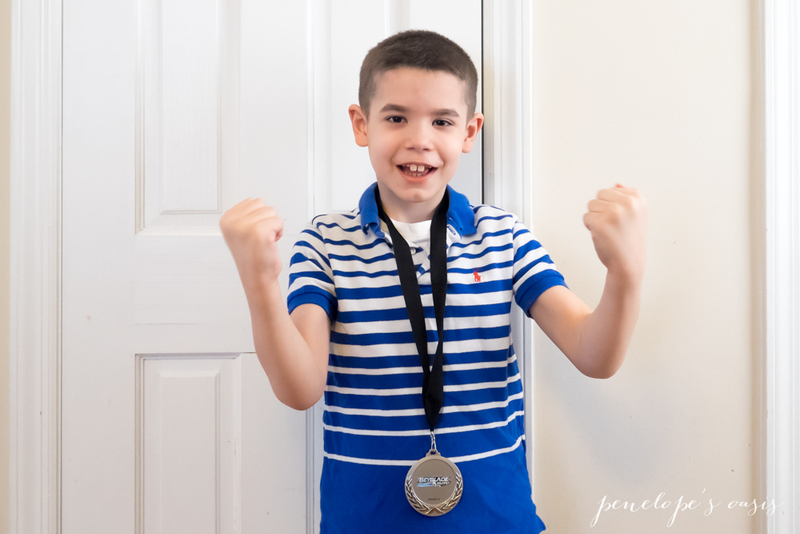 My son loves to play, and he especially loves challenges where he can compete against others who enjoy the same activities. I have a feeling Bladers around the world are going to be ecstatic. 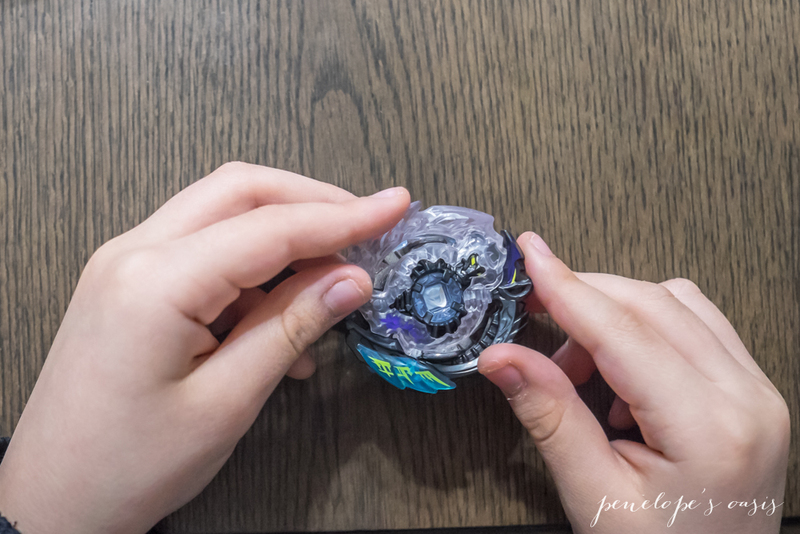 The BEYBLADE BURST WORLD TOUR takes place in regions around the world, and the final BEYBLADE BURST World Championship will be held in Paris on November 3rd. BEYBLADE BURST masters ages 8-13 compete regionally in head-to-head competitions across the globe and winners of the National Championships will be able to represent their countries as the move on to compete at the 2018 BEYBLADE BURST World Championship in Paris on November 3rd at Kidexpo Paris. 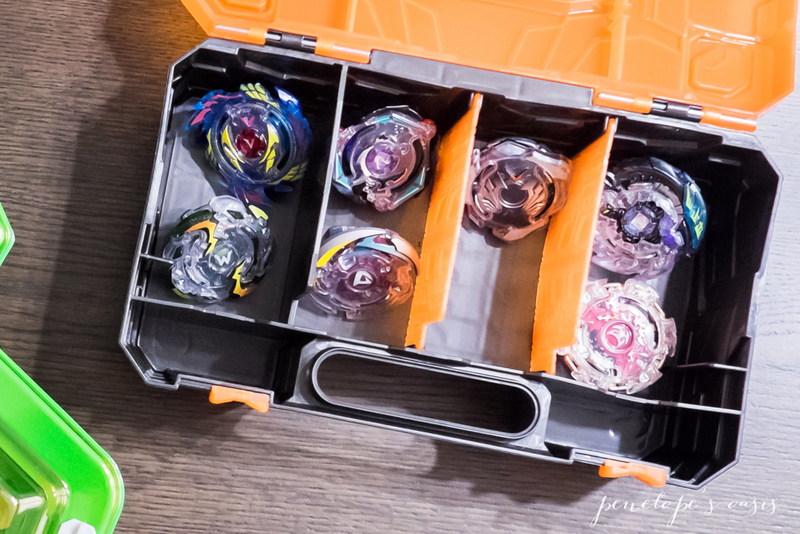 My son has been playing with his BEYBLADE BURST SWITCHSTRIKE tops with all his friends and his dad, and he’s been getting pretty good. 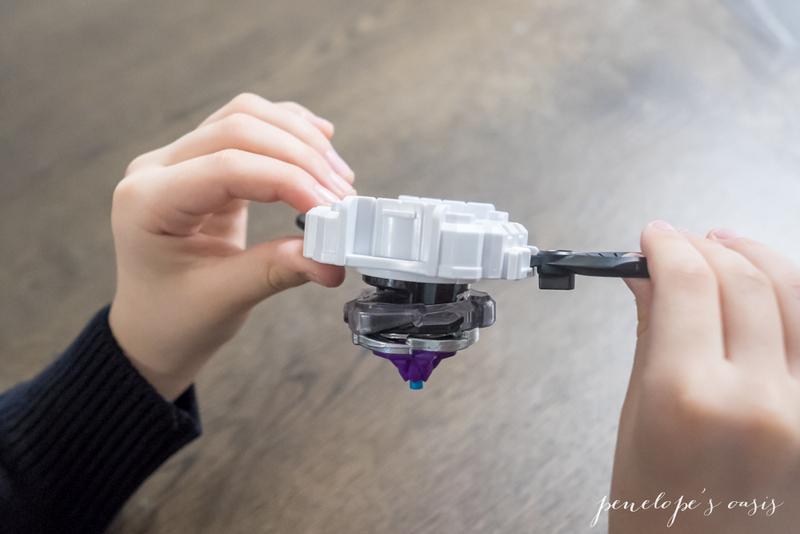 BEYBLADE BURST SWITCHSTRIKE offers a whole set of new featured products that have evolved over time to let Bladers customize the course of their battle. 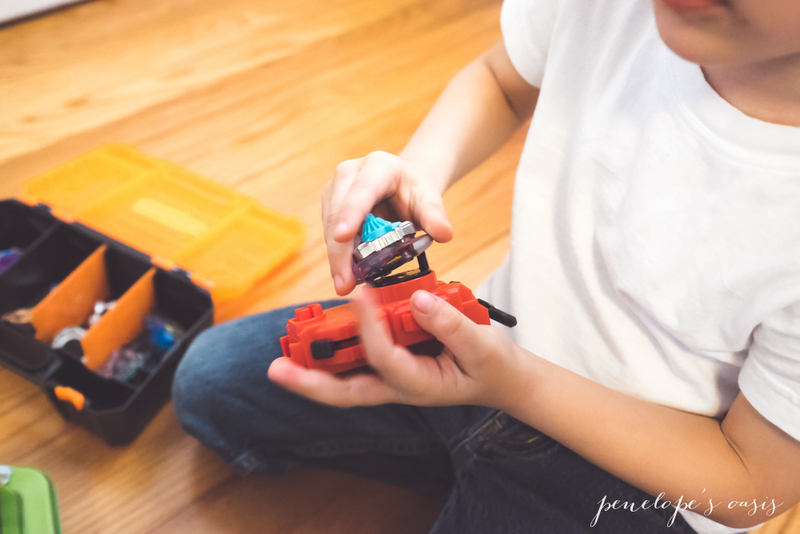 The rules are: kids aged 8+ can play with the stadium on the floor, no leaning over, use only BEYBLADE BURST tops with a BEYBLADE BURST Beystadium and BEYBLADE BURST launchers. Otherwise, have fun! 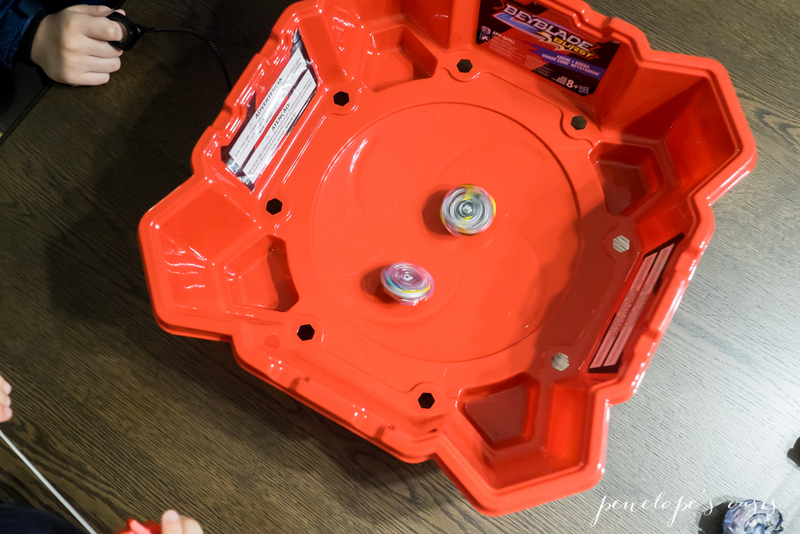 There is an arena, four types of BEYBLADE BURST tops – Attack, Stamina, Defense, and Balance. There are also various Beystadiums and launchers, like the Dual Threat launcher that lets Bladers choose whether you want to spin it left or right. 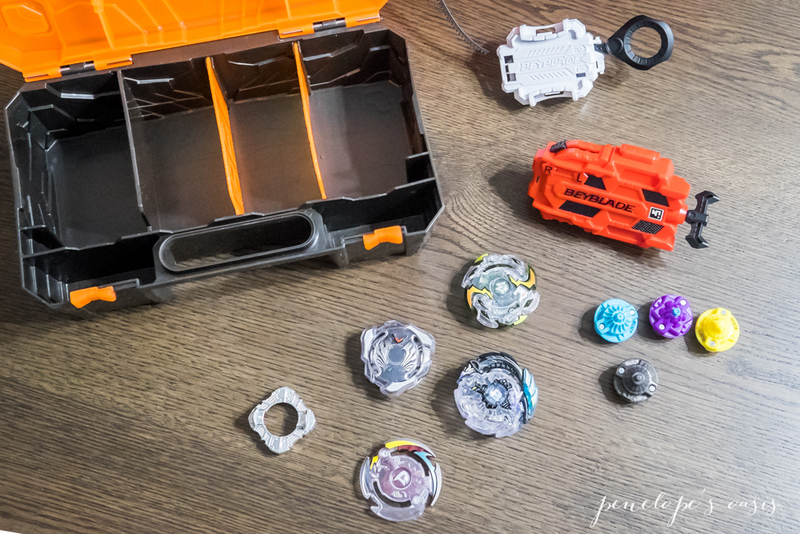 There are many different BEYBLADE BURST Energy Layers and Forge Discs to create tons of possible combinations for Bladers to create their own unique BEYBLADE BURST tops after carefully considering the strengths and weaknesses of each. Bladers have to strategize, coordinate, and plan! 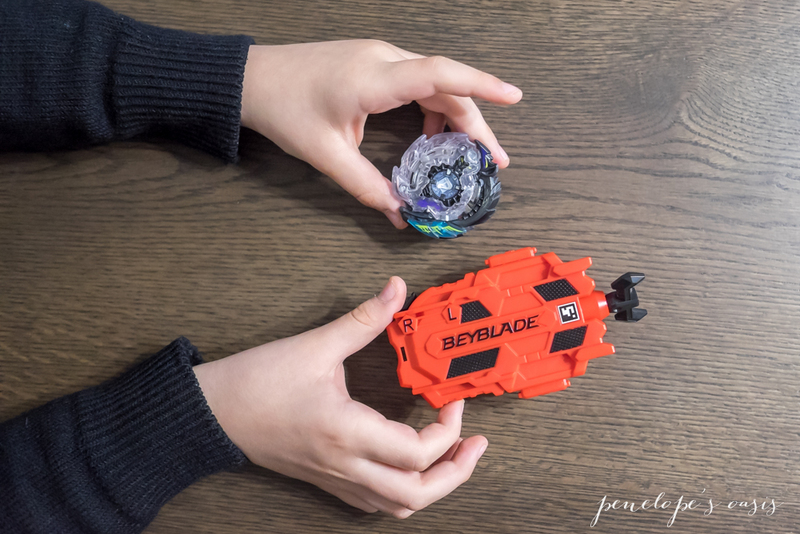 Some BEYBLADE BURST tops offer more attack power or agility (like Valtryek), others are strong in defense (like Wyvron), and there are seven different categories of stats to create your ultimate force. The best Bladers know you need tops that are a combination of Attack, Stamina, Defense, and Balance to be a champion. You can mix and match the Energy Layers, Forge Discs, and Performance Tips to construct the best choice for tops. 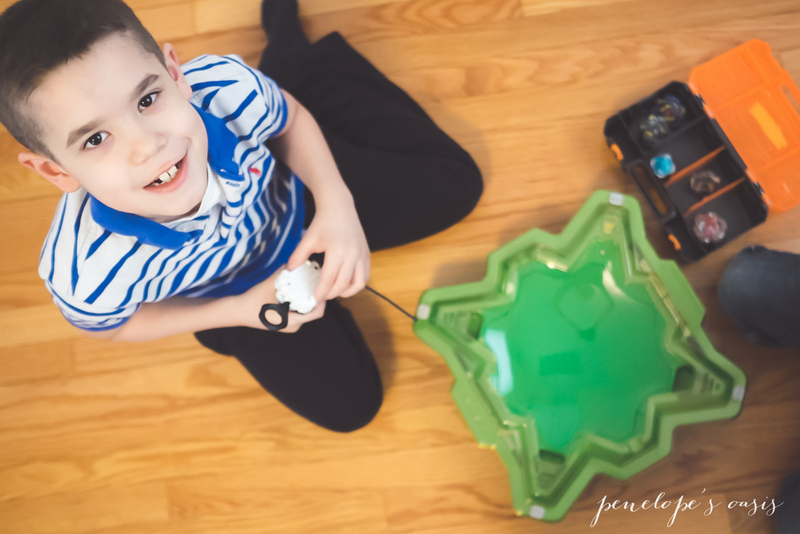 My son loves Doomscizor D3 for its tight spin path that gives it amazing attack power! 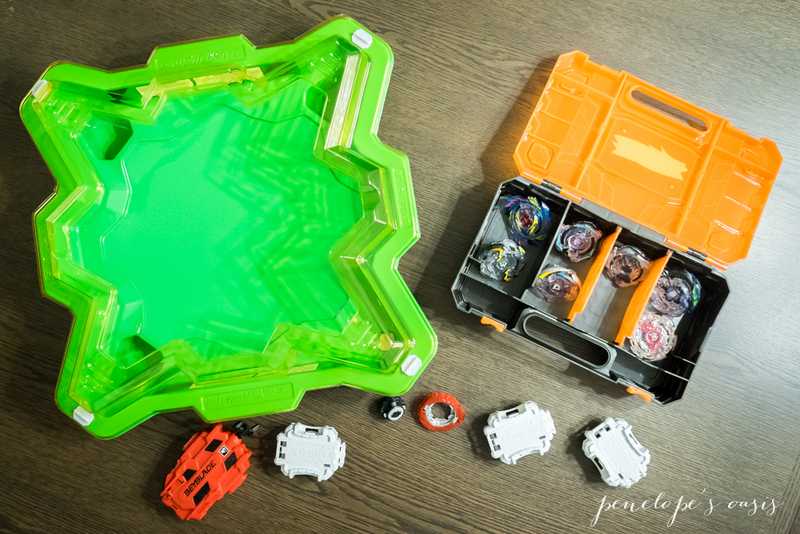 The BEYBLADE BURST STAR STORM BEYSTADIUM is an arena with a star border to keep those speedy tops inside to attack other tops. 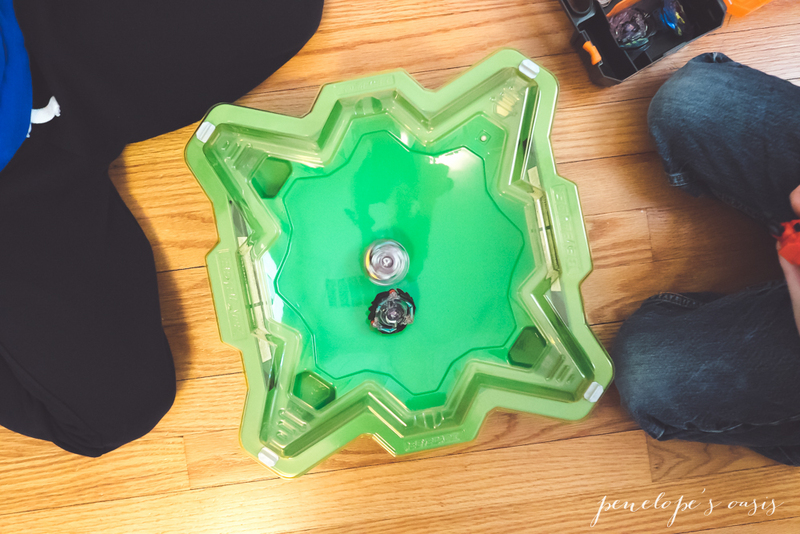 It’s a sturdy stadium perfect for BEYBLADE BURST battles, and there is also an open top BEYBLADE BURST Arena with higher sides. So many options to pick from for this Hasbro Product! BEYBLADE BURST EVOLUTION airs on Disney XD every Saturday at 8:30 AM, and offers reruns throughout the week at 3:30 PM. The main character is Valt, who battles with his friends in challenges against each other to become the best Bladers in the world! 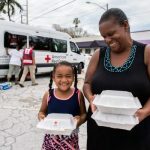 It’s a great show for kids that teaches them to value hard work, the importance of determination, being your best, planning, and the fun and merit of good ol’ competition. Don’t have Disney XD? Your kids can also watch hours of BEYBLADE BURST and BEYBLADE BURST EVOLUTION content on the official YouTube channel (like mine do). Watch episodes here!